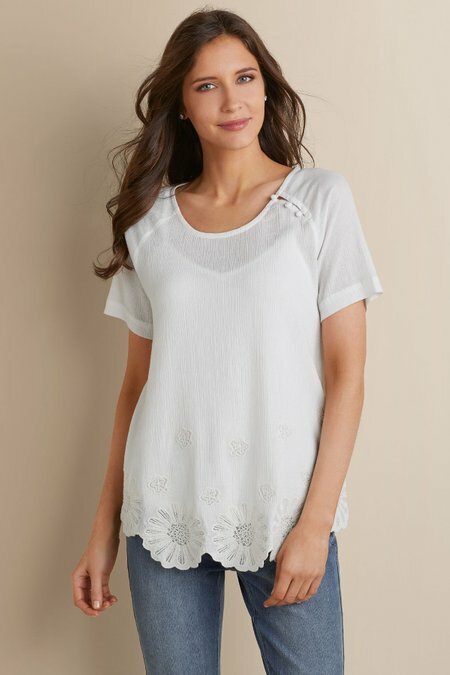 Rippled with scallops at the hem, embroidered florets and a three-button slit at one shoulder, this top adds sophistication to the classic lightness of cotton gauze. Raglan short sleeves; comes with a knit cami to wear beneath. Cotton; rayon, jersey cami. Misses 28-1/2" long.